I confess I have not posted to the blog in some time. I've been gone. 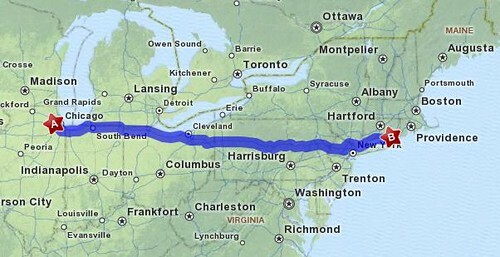 On Wednesday, November 3rd, I left Wheaton and drove to Youngstown, Ohio where I stayed overnight with April and Perry. On Thursday, November 4th, I continued from Ohio to Connecticut and a visit with Carole. The return trip started Monday, November 8th when I returned to April and Perry's. I drove from their house to the Indiana Ohio border where I had car trouble. I have finally returned today, Wednesday, November 10th. I had taken this day off anyway but it was to be a day to catch up on things. There will be a lot of posts upcoming as I took 271 photos with my digital camera and I have 2 rolls of print film to develop. There will be more. I promise. I just need some down time.